Since recovering from the last recession, London’s economy has created many jobs and this is expected to continue at a rate of around 45,000 jobs each year. The number of Jobseekers Allowance claimants is down to historically low levels. Despite this, a significant minority of citizens remain locked out from the social and economic benefits of work. In London today there are currently 560,800 people who want to work but are not in employment. The disability employment gap has barely moved in over a decade, and now stands at 26.3% in London. The London Work and Health Programme is an important first step towards tackling this wasted potential. The London Work and Health Programme in London will provide support that is distinct and additional to that available through Jobcentre Plus. 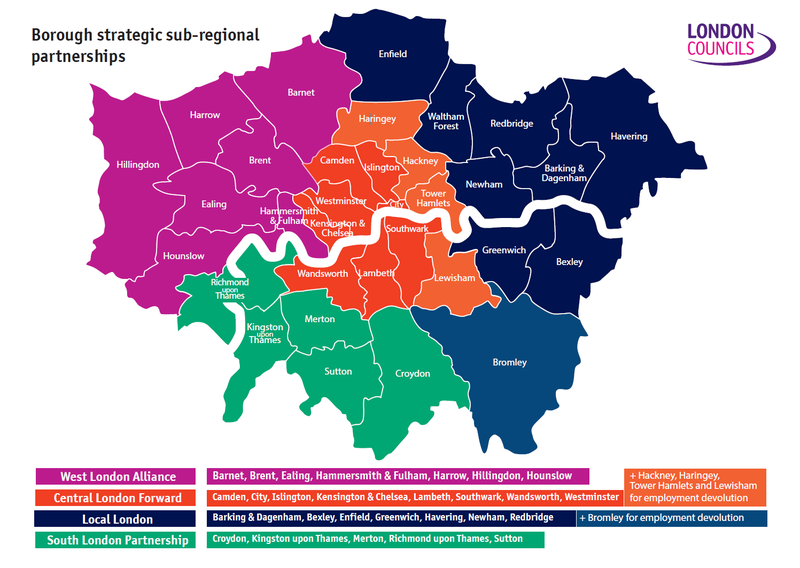 Launched in Spring 2018, London’s four sub-regions will receive funding worth up to £135 million (including ESF match) over five years to support 50-55,000 long term unemployed, disabled people and people with health conditions to seek employment. Customers will be referred to the programme up until 2022, when DWP will have the option of extending the programme for a further two years. Support will be available for a further 15 months after the last referral. Devolution of the Work and Health programme will allow London boroughs to work more flexibly with employment support providers, and coordinate a wider range of services around the individual. This builds on the work already taking place in the boroughs bringing services together and supporting disabled people to enter and sustain work. In order to ensure that the Work and Health Programme reflects the unique challenges and opportunities across London, and to enable more effective integration with local services, London’s Work and Health programme will operate on a sub-regional basis – with groups of boroughs working together through strategic partnerships. London Councils is committed to making sure London has the powers it needs to support its citizens in to long term and sustainable employment. The London Work and Health Programme is an important first step, but there is much more that London could do to create a fair and accessible labour market. Future challenges include making sure that local integration is effective, considering how to align devolved skills funding to the programme in the future and working with providers to explore how to align health services and funding to the Work and Health programme. London Councils is continuing to discuss with government further proposals for public service reform of employment support services within the capital, including greater integration between local employment and JCP services, preventing people falling out of employment because of ill-health and lobbying for devolved replacement funding for ESF in London. If you are interested in applying to the Work and Health Programme please speak to your local Jobcentre. Find your local office here.